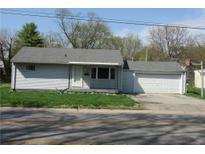 Find Plainfield, IN Homes for sale. View Photos, Maps and MLS Data Now! 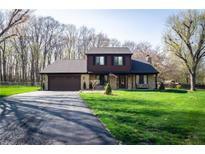 Hillcrest - Perfect location- hop on a bike or get some exercise - Close to Hummel Park, the library, downtown Plainfield and area shopping! MLS#21635326. Values Driven Realty, Inc..
Dream of completing your full basement w/the details you love! MLS#21632980. Keller Williams Indy Metro NE. 3- season room that looks out to mature trees. Close and convenient to I-70. MLS#21632165. RE/MAX Centerstone. Neighborhood pool & park 4 Star Plainfield Schools. MLS#21632778. RE/MAX Centerstone. Mares Meadows - Close to interstate access, restaurants, shopping and more! Don't miss this! MLS#21635102. RE/MAX Advanced Realty. Westmere - Super Location Close to Shopping, Restaurants & Avon Schools!! ! MLS#21634927. 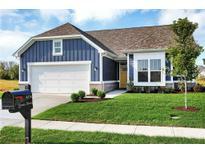 Keller Williams Indy Metro W.
Walking distance to schools, parks & trail system. Must See! MLS#21633326. The Stewart Home Group. Duffy - Don't miss this amazing opportunity! MLS#21635068. RE/MAX Advanced Realty. 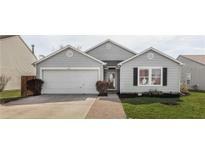 Rolling Meadows - This Won'T Last Long! A Must See! MLS#21632817. Integrity Home Realty. Master spa like retreat w/ large shower, double sink vanity and walk in closet. MLS#21631791. A G Wheeler Realty, LLC. Hadley Acres - New kitchen & bath center tops and sinks, added cabinets in the kitchen for extra storage, all new S.S. kitchen appliances, ALL THIS on .65 acre lot with a mini barn AND shed! MLS#21632628. The Stewart Home Group. Come see this hard to find one owner home in great condition!! ! MLS#21632731. Home Pro USA, Inc.
Hadley Acres - Finished heated garage with tool board through out. Must see today. MLS#21632813. Pritchett Property Group LLC. Close to Shopping, walking trails that lead to parks and aquatic center, and airport. MLS#21632799. RSW HOMES LLC. Come make this house a home, but hurry this one is one of a kind. MLS#21632503. Imperial Realty, LLC. Rockingham - Custom built brick ranch offers the following: 3 bedrooms, 2 bath, large great room with gas fireplace and 10 ft trey ceiling, four piece crown trim, dining room with 10 ft ceiling, master bedroom with 10 ft ceiling and walk in closet, split floor plan, awesome kitchen and hearth room with fireplace and hardwood floors, 15x10 screened porch, finished garage with storage cabinets and exterior landscaping with continuous edging. MLS#21632417. Carpenter, REALTORS®. The Settlement - Enjoy the walking path behind the home, the community pool along with many other amenities this wonderful neighborhood offers. MLS#21632396. F.C. Tucker Company. Westmere - Stop by and picture yourself home. All appliances stay. 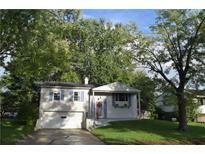 MLS#21631900. CENTURY 21 Scheetz. Nice yard with deck out back! MLS#21631650. RE/MAX Centerstone. Large outbuilding with space for 4 vehicles includes office and full bedroom & bath. Avon Schools!! ! MLS#21630828. Homes & Homesites. Hanna Crossing - LARGE BONUS room too on upper level! Covered back porch too! MLS#21631874. The Stewart Home Group. Auburn Meadows - This home has character, detail and style. MLS#21629305. Raska Real Estate. As Is MLS#21631507. Carpenter, REALTORS®. Hanna Crossing - Lots more features- see added list in supplements. 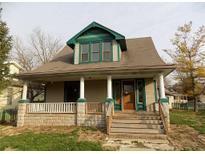 MLS#21630597. RE/MAX Advanced Realty. Hawthorne Ridge - Roof and gutters replaced in 2015. MLS#21630864. F.C. Tucker Company.